Before I visited Derry in Northern Ireland, I had no idea what to expect. This historic walled city has been a bit of a discovery to me, and judging from a lot of the comments I’ve received on my last Derry post, to a lot of people too. But it wasn’t just the beauty of the city and its fascinating history that I found compelling. I also discovered that Derry is the perfect foodie destination. 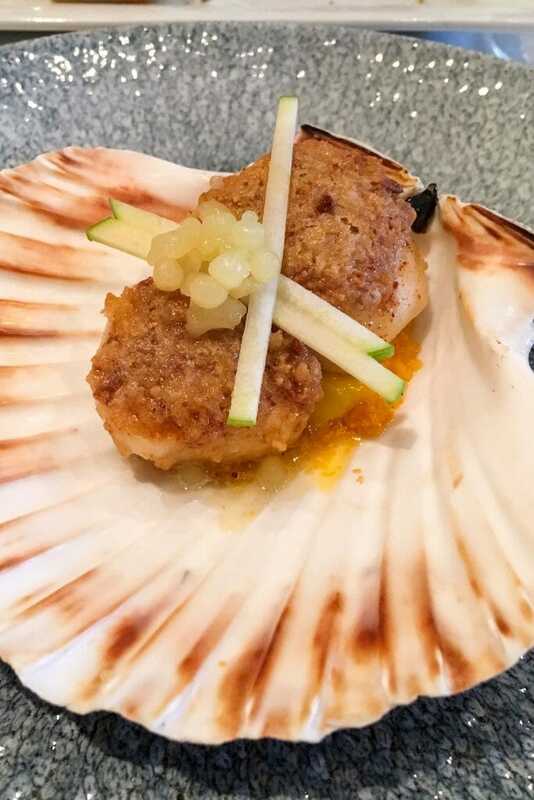 I visited a number of excellent restaurants and one thing they all had in common was a focus on using local produce and working directly with the local suppliers to ensure high quality ingredients. And it showed! So here is my selection of recommended places to eat in Derry for a perfect foodie weekend indulging in beautiful and sustainable food. 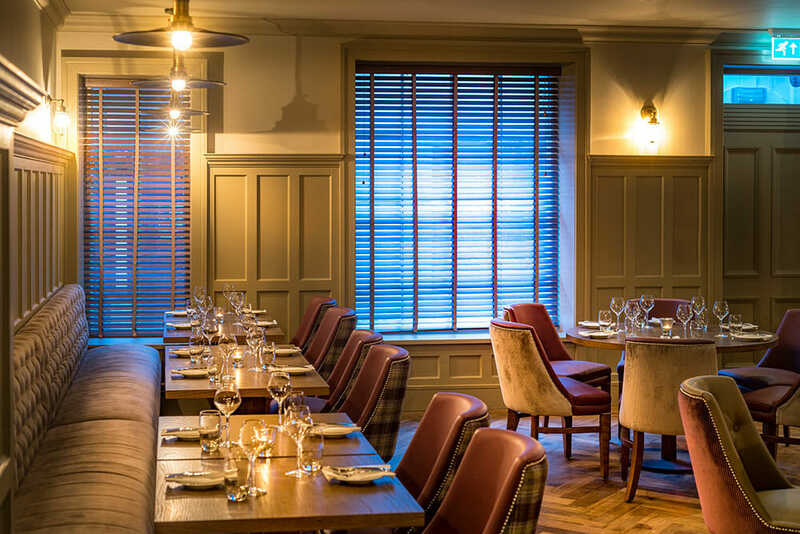 While I was in Derry I stayed at the beautiful Bishops Gate Hotel and I checked in just in time for lunch, so the first restaurant I visited was The Gown. The hotel used to be a gentleman’s club, and the restaurant has some of the original features such as the original wall paneling, which gives the place a lot of character. They have a menu inspired in seasonal and locally sourced ingredients. It was hard to choose from all the delicious-sounding dishes, but someone recommended the seared pork rack chop from local meat producers William Grant & Co, with bubble and squeak croquette, and sage and onion jam. It was definitely the right choice and the perfect start to a couple of days of incredible food. Located in Ebrington Square, the Walled City Brewery is a fully operating brewery with a very relaxed restaurant that aims to provide both locals and visitors a ‘Taste of the North West’. And I can say that they do deliver! The craft beer is brewed in-house in very small quantities, and I’m not a beer expert but it tasted pretty good. They brew three kinds – a Derry Pale Ale (a new kind of beer), an Indian Pale Ale and, my favourite, a Stout which tasted like chocolate. But the goodness of this place does not stop with the drinks. Their pintxos are legendary. They include perfectly sweet and sharp pickles (carrot, cucumber, cabbage) with olives, mini Thai pork cakes from the local butcher and homemade sweet chilli jam, and bbq beef rump with homemade kimchi and curry alioli. If what you are looking for is a fine dining experience, Browns is the place to go. Voted Best Restaurant in Ulster in 2016, it has an excellent reputation. Head Chef Ian Orr is renowned for being focused on seasonal ingredients and for supporting local suppliers. And the food certainly lived up to expectations. I had the seven-course tasting menu that included a pre starter of chicken skin and gin & tonic jelly canapés with carrot and coriander soup; turf smoked beef with confit egg yolk, broccoli and Dart Mountain cheese; baked king scallop with egg yolk, yuzu and apple; hake with samphire and mussels; aged beef fillet with salsa verde and red onion; sorbet and for desert a delicious lavender pannacotta with strawberry, hazelnut and honeycomb. Not only was it exceptional in flavour, but the presentation was stunning. And yes, I ate it all! Recently opened, Brickwork is the new kid on the block in Derry. It’s a very relaxed and casual restaurant where you immediately feel welcome by the beaming smiles of the Brickwork team. The vibrant and youthful atmosphere of this place makes you feel like you’ve made the right decision to stop by even before you’ve looked at the menu, which is full of fun and tasty goodies. One of their signature dishes is the steamed bao bun which is ideal for lunch and comes with a variety of fillings, prawn crackers and a side. I went for the marinated pulled pork filling and it was just great, but I did wish I’d gone for the fish fingers when I saw them. 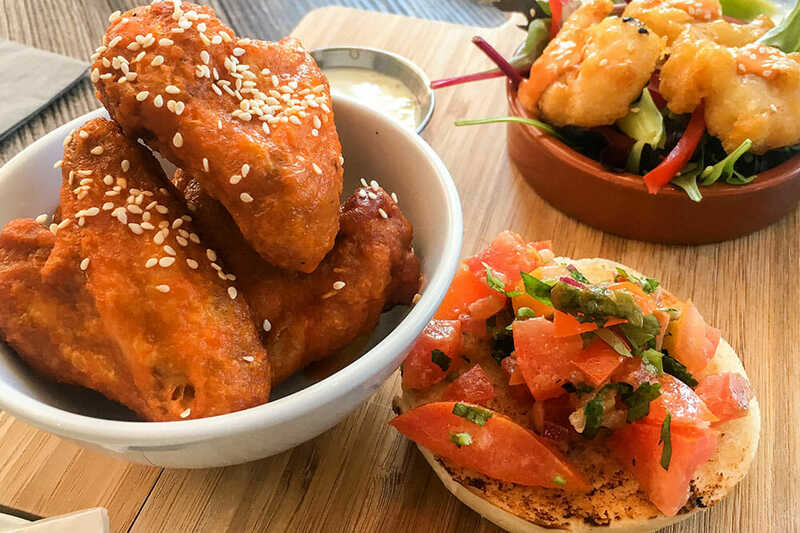 I also had a sharing platter with salt and chilli battered prawns, dragon chicken wings with blue cheese aioli, sticky bbq back ribs and a bao bun with tomato, chilli and onion. 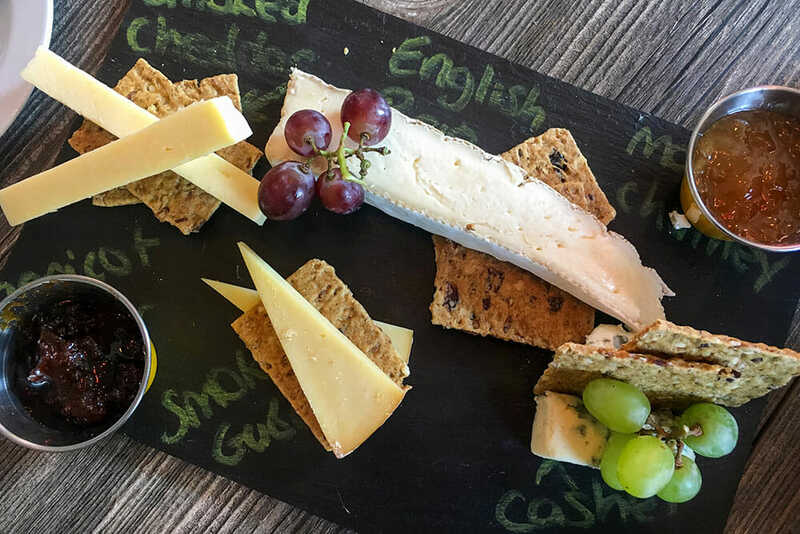 And to finish the meal off, I had an excellent cheese board with a selection of English and Irish cheeses. It’s a fun eclectic menu that takes you to different countries all at once, and I’d very happily visit over and over again. 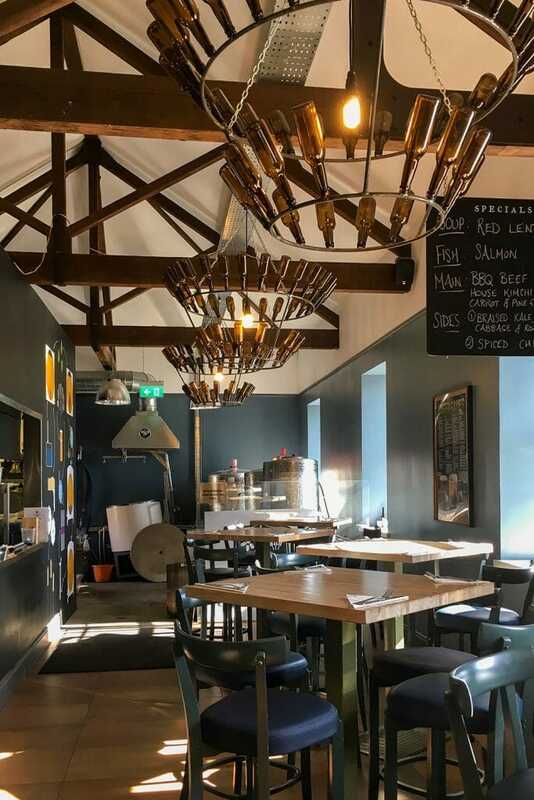 Located in the heart of Derry’s Craft Village, Soda & Starch is a charming pantry and grill that serves traditional Irish comfort food and home baking that hits the spot. 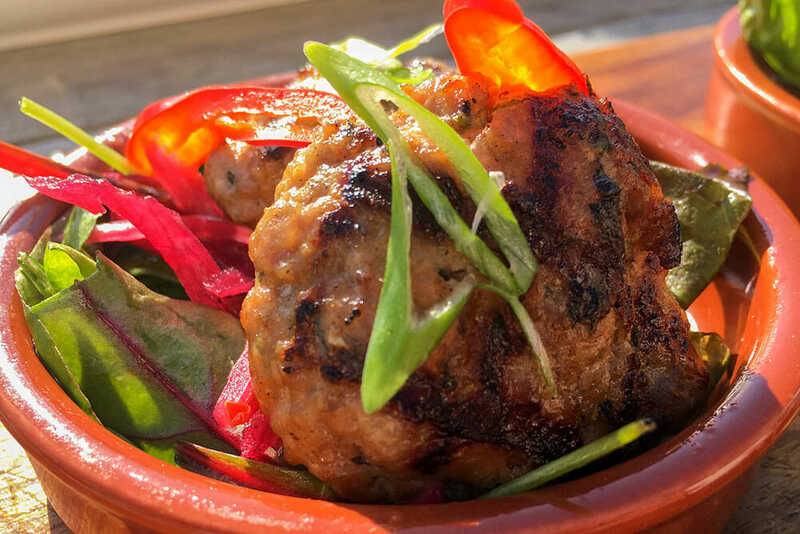 Its hearty, rustic and filling dishes are simply good, honest food that are big on flavour! Soda & Starch’s deco is simple but confident, as if it knows that it does not need any gimmicks as the food will speak for itself. 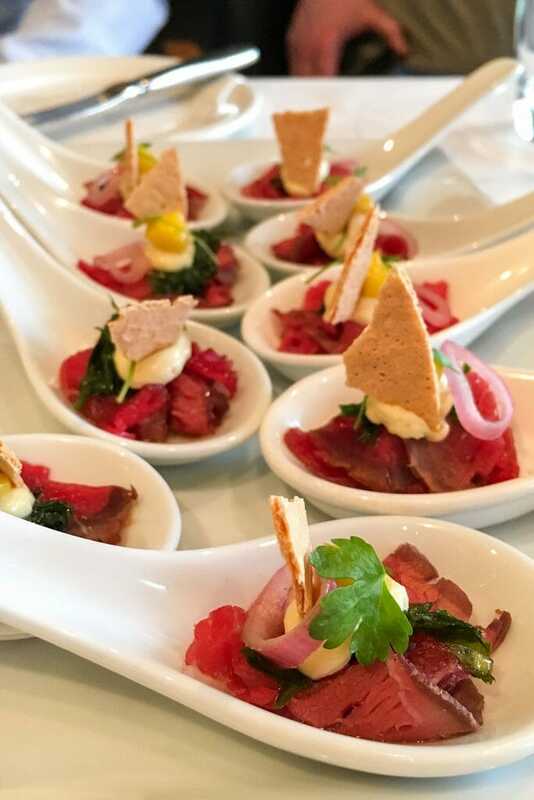 The focus here is on high quality, seasonal ingredients from locally sourced suppliers, that create delicious authentic cuisine, rooted in Irish cooking traditions with a side of true Irish hospitality. I went with a goats cheese and beetroot salad on a ciabatta bread to start with, and a really tasty seafood chowder for mains. All beautifully flavoursome! Once again, Derry surprised me. I had no idea that the walled city had so much to offer as a foodie destination, and I feel like I’ve missed out on it all this time. Now that I know, there are lots of other restaurants that I would like to go back and try, and I may just do that over the summer. For details on things to do, where to stay and how to get to Derry, check out my post 48 Hours in the Historic Walled City of Derry~Londonderry. And if this hasn’t convinced you yet, here are 5 reasons why you will love Northern Ireland. Awesome- would love to try the new kind of beer…Derry Pale Ale sounds intriguing! We’re in Ireland later this year and will probably visit N Ireland as well! This gives me some good motivation 🙂 Love your photos, btw – gorgeous! Ps. It was all delicious! Oh this all sounds amazing. This is making me hungry right now. What a great way to discover a new destination, through food. Yum!